It’s that time of year again, and by popular demand I’m back and showing my goods (oh er) at Berkeley Castle Wedding Fair on Sunday 28th January 2018 11-3pm. Award winning Gloucestershire Magician Richard Parsons. More trophies and awards to his name than I’ve got GCSE’s. Is this what magician’s do I have to ask myself? Conjure stuff up…..or is it real? He’s a social media giant, in fact he’s possibly bigger than Coca Cola right now and trending on twitter higher than Donald Trump. Get your bookings in now……don’t delay, or he’ll vanish! If it’s something tasty you’re after, of course superstar sandwich maker Phil from Napier Catering will be on hand to tantalise your taste buds. He’ll no doubt provide some delicious samples, so don’t eat anything before your visit…..every one likes a free lunch right?! Sorori Design will be on hand to show you that flower arranging isn’t the dark art I thought it was. Well, not when you’ve got talent, an artistic eye and loads of pretty string & ribbon right? And finally……..if it’s wedding make-up you’re after (everyone deserves a little extra facial va va room on their wedding day right) then the wonderful, and slightly crazy Maddy from Weddingpaint will be on hand to apply some lippy, tell wedding day tales, and generally bring mischievousness to the proceedings. Usually encouraged by me! Oh yeah, the final and most important supplier in the whole of Gloucestershire………that’ll be me right. Your wedding photographer. It’s no good looking great, having pretty flowers, being full of food and entertained all day if no-one’s there to photograph it right!? (Actually some people may beg to differ on that debate), but you get the idea. So, hands in the air, who’s gonna come say hi? I’ll still be on my sugar rush and even have the beautiful Becky alongside me to help with your Q&A’s……or just to keep me in check. 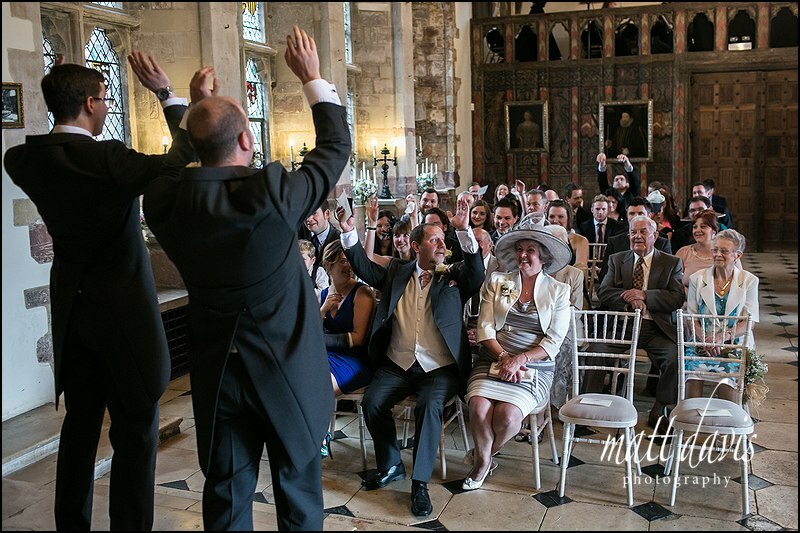 And for those of you who can’t make it on the day, why not browse a few other Berkeley Castle weddings to get some inspiration for your own big day. Or, you can of course contact me for a chat and say hi in person at a time that suits you.